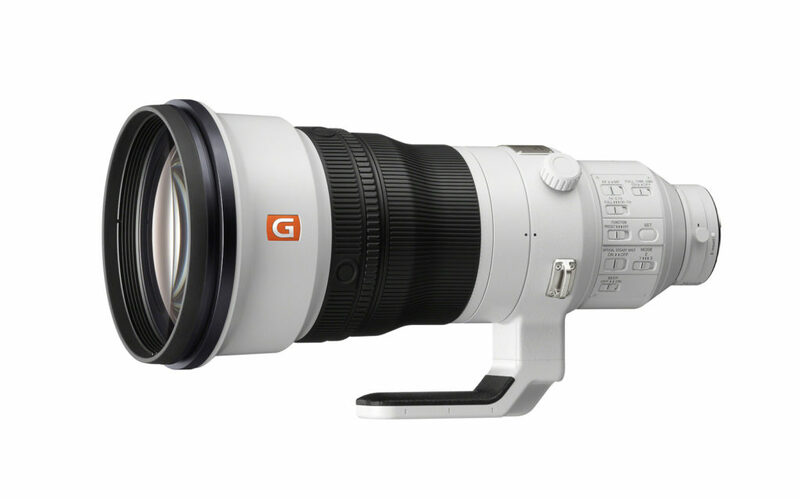 Sony today announced the highly anticipated FE 400mm F2.8 GM OSS large aperture super-telephoto prime lens (model SEL400F28GM). The product of extensive research and testing, Sony’s new FE 400mm F2.8 GM OSS lens is the first large aperture super-telephoto prime to join the E-mount line-up. This exciting new lens produces brilliant image quality, extraordinary focusing speed and precision while also boasting the lightest weight in its class[i] and an extremely balanced design. It’s the ideal choice for professional sports, wildlife and nature photographers, and a perfect complement for Sony’s extensive line-up of high-speed E-mount bodies including α9, α7R III and more. Weighing in at only 2897g, the new FE 400mm F2.8 GM OSS lens provides a level of portability and handheld manoeuvrability that has never before been achieved in a lens of its class. The remarkably light weight of this lens is achieved through an innovative optical design that includes three fluorite elements, with a reduced number of elements deployed at the front of the barrel, as well as the liberal usage of durable magnesium alloy components. Additionally, repeated field tests and evaluation by professional photographers across the world have led to a lens design that is not front-heavy, reducing moment of inertia that resists rotation by up to 50% as compared to the SAL500F40G. [ii] This ensures that quicker, more precise panning is available, whether shooting handheld or on a monopod. To best take advantage of the rapidly evolving shooting and focusing speeds of Sony’s latest cameras, the FE 400mm F2.8 GM OSS lens features two newly developed high-speed XD (extreme dynamic) Linear Motors that drive the lens’ focus group, achieving up to a 5x improvement[iii] in moving-subject tracking performance. These motors are supported by specially developed motion algorithms to minimise lag and instability and control noise levels, resulting in exceptionally quick, accurate and quiet autofocus performance. This allows the lens to capture dynamic, fast moving athletes or wildlife with ease. A member of the Sony’s flagship G Master Series lenses, the new large aperture super-telephoto prime lens features an incredible level of image quality and detail, with outstanding contrast and resolution maintained all the way to the corners of the image. The unique optical design includes three fluorite elements that help to minimise chromatic aberration and suppress any amount of colour bleeding. The lens has also been coated with Sony’s original Nano AR coating to suppress any unwanted reflections, glare, or ghosting. In addition to the impressive resolution, the lens features an 11-blade circular aperture mechanism that allows it to produce extremely natural and beautiful background defocus or bokeh’. Each lens is also individually tested and adjusted at manufacturing stage to achieve maximum image quality and ‘bokeh’. The new FE 400mm F2.8 GM OSS is compatible with Sony’s 1.4x and 2.0x E-mount tele-converters, producing outstanding imaging performance at extended focal lengths[iv] while maintaining fast, precise AF performance. To withstand the harsh conditions of sporting events and wildlife photography, Sony’s new FE 400mm F2.8 GM OSS is built with a durable magnesium alloy and a strong, lightweight carbon fibre hood. The lens is also dust and moisture resistant[v], and its front element is coated with fluorine to resist dirt and fingerprints. 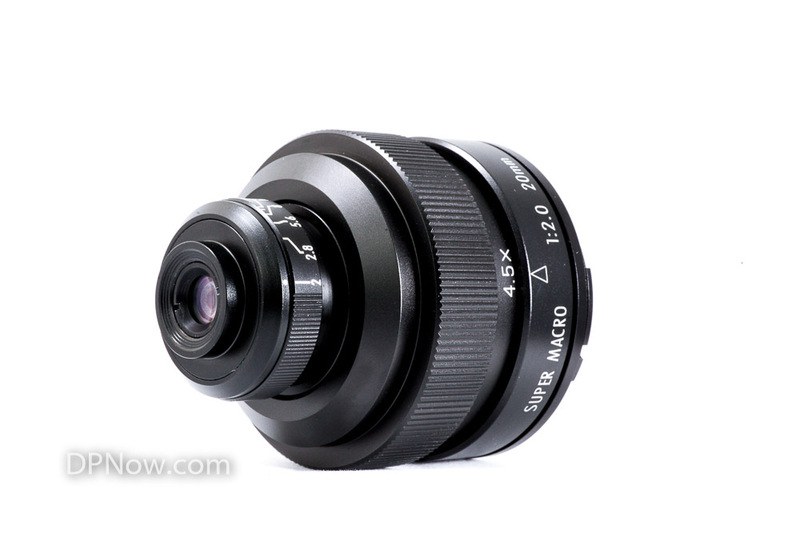 There is also an ample amount of hard controls on the lens, including a ‘Full-Time DMF’ switch to immediately engage manual focus at any point, customisable focus hold buttons in four different locations on the lens barrel – allowing easy access of an Eye AF for example, and a focus ring that features Linear Response MF for fine, responsive manual focus. The new lens also features built-in optical stabilisation for dynamic sports action and three different ‘Mode’ settings, including a brand new Mode 3[vi] setting with an advanced algorithm that ensures easier framing when following moving subjects. The new model includes a function ring with selectable ‘Preset’ and ‘Function[vii]’ settings, further adding to the customisability, a first for any Sony lens. The FE 400mm F2.8 GM OSS includes a drop-in filter slot[viii] that accepts ø 40.5mm ND and other filter types, as well as the optional VF-DCPL1 Drop-in Circular Polarising Filter. The VF-DCPL1 filter can be rotated to achieve the desired polarisation while installed in the lens. The latest system software update (Version 3.00) for α9 (ILCE-9) provides support for the new FE 400mm F2.8 GM OSS (SEL400F28GM) lens to optimise optical image stabilisation performance and enables continuous shooting with auto focus tracking even when aperture is greater than F11. The update also provides added option to input camera serial number to the Exif data, a feature that has been strongly requested by professional sports photographers and photojournalists. Additionally, several other updates to the α9 camera have been implemented with the new firmware, including improved auto focus speed in low light conditions, enhanced continuous AF performance when tracking a moving subject, and reduced release time lag when shooting with flash. Built to order, the new FE 400mm F2.8 GM OSS will ship in Europe in September 2018,priced at approximately £10,500. The optional Drop-in Circular Polarising Filter (model VF-DCPL1) will ship in Europe in December 2018, priced at approximately £420. Sony today launched its first SONY Imaging PRO support walk-in centre, which officially opens its doors to the public on the 1st September, 2017. The first of its kind, customers will be able to get their Sony equipment[i] serviced and repaired at the new support centre based at Fixation in London. The centre offers rapid turnaround times for diagnosing issues, on-site repairs and servicing. Customers will also be able to rent Sony products at competitive prices while their kit is being repaired or to assist with purchase decisions or short term projects. All rental equipment is professionally cleaned and tested by Fixation’s own technicians to ensure best performance before any loan period. The centre will also provide enhanced services in line with the Sony Pro Support Programme, to reinforce Sony’s commitment to the growing pool of professional photographers buying into Sony systems. In addition to the dedicated telephone help desk offered as part of the PRO Support service, members now have the chance to receive personal advice and support regarding their α camera equipment in the new walk-in centre. Instead of sending off units that require servicing, including twice-yearly sensor cleaning and firmware check-ups, equipment can now be quickly checked and repaired at the Fixation centre. For further information on PRO support and membership please check here. David Garratt, CEO of Fixation’s parent company Wex Photographic, commented “We are absolutely delighted to have been appointed as the UK’s first Sony Authorised Service Centre dedicated to supporting Sony’s innovative range of pro-focused imaging products. Fixation has a long history of supporting professional photographers with first class service and we look forward to working with Sony to extend the range of imaging products we can support”. To check the range of services offered at Fixation, please click here. [i] The services and repairs are currently only available for Sony’s range of RX compact cameras and α e-mount interchangeable lens cameras and lenses. There is an increasing desire to see new and original photography, with 47% of people bored of seeing the same shots, and 52% of people more likely to ‘like’ a composition they’d not seen before. 18 May 2017 00:01 (CEST): New pan-global* research released today by Sony Mobile has revealed the top 30 most photographed landmarks worldwide – a list topped by The Eiffel Tower and including Alhambra, The Colosseum, The Burj Khalifa and Big Ben. The #XperiaNewPerspectives research revealed that more than half of the Top 30 landmarks are shot from the same three angles. With 55% of travellers saying they would plan their itinerary based on photography opportunities, it looks like we need to up our holiday photography game to avoid boring our friends as 47% of people said they were bored of seeing the same three shots. Whilst 52% were more likely to ‘like’ an image of a landmark if it was interesting and something they’d not see before. 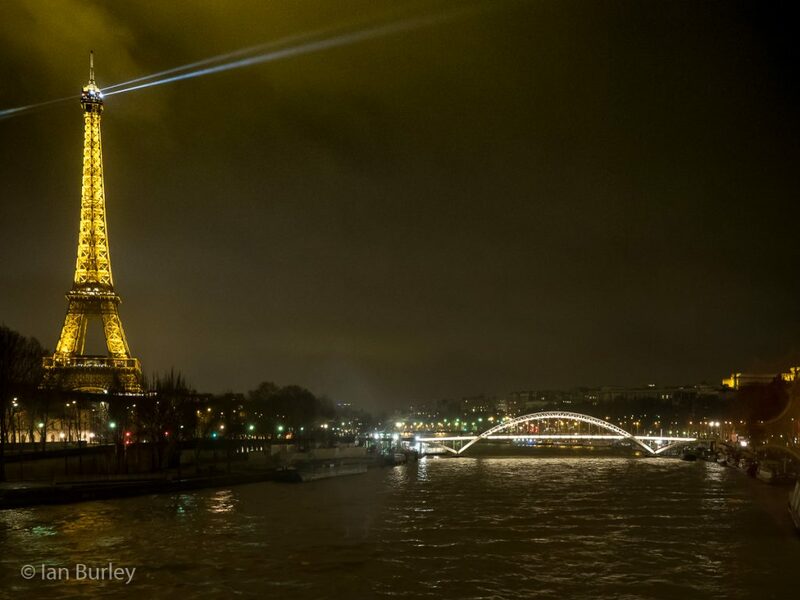 The Eiffel Tower’s presence at the top of the list may not surprise, but the data that shows 35% of photographs of the landmark were taken from the same three angles is eye-opening. Other notable landmarks that follow this trend include Christ the Redeemer in Brazil where 71% of shots are from the same three angles, Trevi Fountain in Italy (74%), Mount Fiji in Japan (77%) and Machu Picchu where 85% of all Instagrammed images are taken from the same few spots. Research also concluded that half of those surveyed pick their holiday based on others’ holiday snaps and a further 45% look to Instagram for inspiration of where to photograph and visit. Sony Mobile has partnered with three award-winning travel photographers from across the globe and equipped them with the Sony Xperia XZ to visit some of the leading landmarks and capture them from new perspectives. From low light shots of the Colosseum to blur-free crowds of the Eiffel Tower showing off the capabilities of the Xperia XZ’s camera. Commenting on the fantastic imagery created on Xperia XZ and the New Perspectives report CEO of World Photography Organisation, Scott Gray, said: “The photography landscape has changed dramatically over the past decade and this is ultimately down to the accessibility and quality of cameras. This accessibility is even more pronounced with smartphones, the technology within these camera phones enable people to improve their photography but also, very importantly, have a high enough resolution to be able to actually do something with that image. This ability to capture the spontaneous can really help challenge the photographer’s creativity whilst providing a unique image for the viewer. The report has combined the work of OneFifty, a digital data and strategy consultancy; with market research company OnePoll who conducted survey / data research around the world. The statistics within the report are a collective of 5,352 respondents across five territories – UK, Germany, France, Spain and UAE. All statistics in the report are not representative of the general population but are of those surveyed. A sample size of 5,352 across four European markets (UK, Germany, France, Spain and UAE) were polled. Lluis was born in Granollers, near Barcelona. In 1998 he began learning about photography while studying Audio-visual Communications. After some years working as a sound system technician, he decided to make a radical change in his life and began working as a photographer full time in 2004. His passion for travelling and capturing stories with a camera led him to co-create Bisual Studio in 2013. Since then, he has not stopped traveling and living great adventures to tell stories that deserve to be told through a lens. In 2016, Lluís won best single image in the ‘Journeys and Adventures Portfolio’ category at the Travel Photographer Of The Year awards. Achim loves and lives for photography, he lives in southeast Munich (Bavaria / Germany) – the perfect location for the short walk to some of the most stunning scenery in Europe. He states that the mountains, lakes and landscapes of Upper Bavaria and the Alps are his ‘preferred “hunting ground” in particular, the special lighting effects’. Shortlisted in the Sony World Photography Awards competition in the Open Competition for Travel. He now works as a freelance photographer for Getty Images – the world’s leading providers of digital media. To date his Getty Images portfolio has over 800 photos. Mikael Buck is an editorial photographer based in London, UK and his work focuses on portraiture and travel. He began his career as a photojournalist and has worked on commission for every daily national newspaper in Britain, including, The Times, Guardian, Daily Mirror and The Daily Telegraph as well as being published in countless international publications. Mikael has received critical acclaim for his photographs of iconic landmarks such as St Paul’s cathedral and his landscape work in Iceland and The Isle of Man. Sony has announced that it is to spin-off its camera business next Spring. The new company, Sony Imaging Products & Solutions, will commence operations at the beginning of April, 2017. It will be a wholly-owned subsidiary of Sony. Autofocus your manual lenses – really! Offering moviemakers a powerful new creative tool, Sony has developed a new advanced Super 35mm / APS-C format power zoom lens that starts at 18mm wide angle and extends to 110mm at the telephoto end (27mm – 165mm equiv.